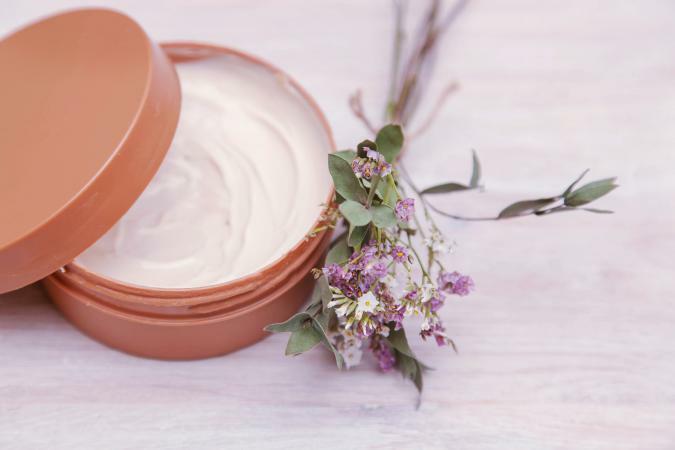 Skin care professionals use a variety of acids to peel away the surface layers of skin, but their treatments can be costly. You can use inexpensive chemical peel recipes made of natural ingredients as an alternative to improve your skin at home. 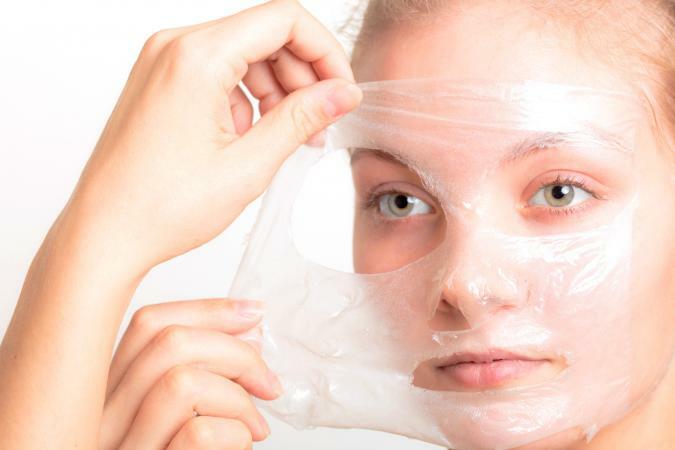 Over time, natural chemical peels can make a visible difference by reducing blemishes, skin discolorations, fine lines, and other signs of skin aging. Before using either of the homemade peels below, cleanse your skin with a gentle cleanser and pat it dry. Use moisturizer right after your peel and put on sunscreen before you go outside. After a peel you may have some redness or irritation, especially if you have sensitive skin. However, this should be nowhere near what you would see with more potent professional peels. If you know you have sensitive skin, do a patch test first before you do a peel. Use a peel once a week until you get the results you want. Reduce the frequency if you notice any dryness or irritation. Because a natural homemade peel is a light, superficial peel, once your skin improves you may want to repeat the process every two to four weeks to maintain the benefits. This is a simple peel that combines two alpha hydroxy acids: cane sugar, a glycolic acid, and yogurt, a source of lactic acid. Put any leftovers in a lidded jar and store in the refrigerator for up to a week. Throughly whisk the sugar and yogurt together in a clean, small glass bowl to form a paste. Let the mixture sit for about five minutes so the ingredients blend well. Using your fingers or a medium cosmetic fan brush, apply the paste to your skin in a smooth, even layer avoiding your eye areas. Leave the application undisturbed on your skin for about 15 to 20 minutes while you close your eyes and relax. Then dampen a clean washcloth in tepid to warm water and use it to gently cleanse the peel from your skin. Wash your face with cool water, pat dry, and apply a gentle moisturizer. Both acids break down the bonds that hold skin cells together to penetrate the layers of skin. Glycolic acid penetrates a little deeper than lactic acid and can boost collagen production, while lactic acid can lighten your skin tone because it inhibits melanin pigment production. This recipe combines aspirin, an inexpensive form of salicylic acid (a beta hydroxy acid), with lemon juice which contains citric acid (an alpha hydroxy acid), as the peeling agents. The gelatin helps tighten skin and pulls away dead cells and debris as you remove the peel. Pour 1/2 cup of the lemon juice in a small pot and add the packet of gelatin. Warm the mixture on a low temperature, stirring constantly to dissolve the gelatin. Once the gelatin dissolves, set the mixture aside to cool. Put the aspirins in a clean small glass bowl and add a small amount of the remaining lemon juice. As the tablets begin to fizz and dissolve, start to crush them using a spoon. Add more lemon juice little by little, mixing well after each addition to further dissolve the aspirins to a smooth paste. Slowly pour in the cool gelatin mixture, mixing and blending well as you do so. Put the concoction in the fridge for about 20 to 30 minutes until it begins to thicken but is not fully gelled. Stir the mixture slightly and apply it to your skin with your fingertips or a medium cosmetic fan brush in a smooth, even layer on your face and neck. Concentrate on problem areas while avoiding your the eye area. Leave the application undisturbed on your skin for 15 to 20 minutes while you close your eyes and relax. Once the mask dries fully, peel it off starting at the lower edge and proceeding to your forehead. Dampen a clean washcloth in tepid to warm water and use it to gently cleanse off any remaining peel from your skin. Using cool water, wash your face, then pat dry, and finish with a gentle moisturizer. Salicylic acid helps reduce excess skin oil and is therefore extra beneficial if you have acne. The vitamin C in the lemon juice helps to brighten your skin and is also and antioxidant which helps to repair skin damage. Homemade peels will only penetrate and exfoliate a few superficial layers of cells on your skin's surface, compared to the deeper penetration of stronger professional peels. Dermatologists, plastic surgeons, and cosmetologists use these acids in higher concentrations. They are also available in less potent forms in over-the-counter products. Removing the older, duller surface cells can improve your skin texture and tone and over time reduce blemishes and superficial acne scars. Your skin will look smoother, brighter, and refreshed. You can use the peels on your face, neck, chest, hands, upper back and other areas of skin. Homemade chemical peels with natural ingredients are inexpensive, easy to make, and simple to apply. They can be helpful if you have a mild skin problem or just want to keep your skin smooth and refreshed. For more difficult skin problems and signs of aging, you may get more benefit more from stronger over-the-counter products or professional peels. Always consult your doctor or a skin care specialist before using strong skin preparations on your skin.